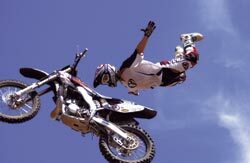 Mr Motocross - Check out the action! 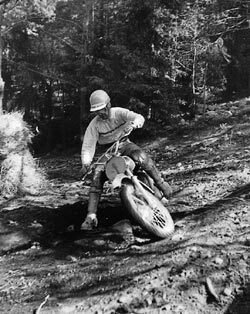 on his factory Husqvarna. Here at Strangnas. 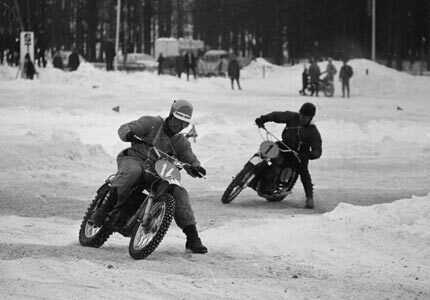 Torsten Hallman leads double 500cc world champ Rolf Tibblin during a close fight on the Swedish ice. The race was televised back in 1966. 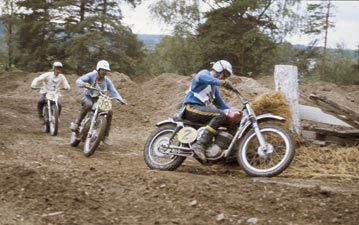 Again, Torsten leads rival Ake Jonsson in a local championship at Upplands Vasby outside STockholm, Sweden. 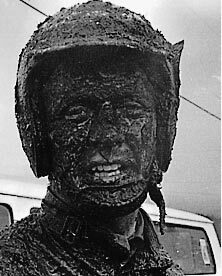 Muddy face at Inter-AM race in Startup near Seattle. Back in 1969... or was it 1970? 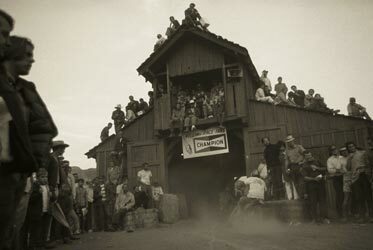 Cowboy motocross at Westlake, California where Inter-AM made a big success. 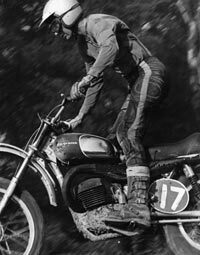 Modern times: Motocross is a spectacular beyond control today. How do they do it? Nate Adams is the 2002 freestyle world champion.